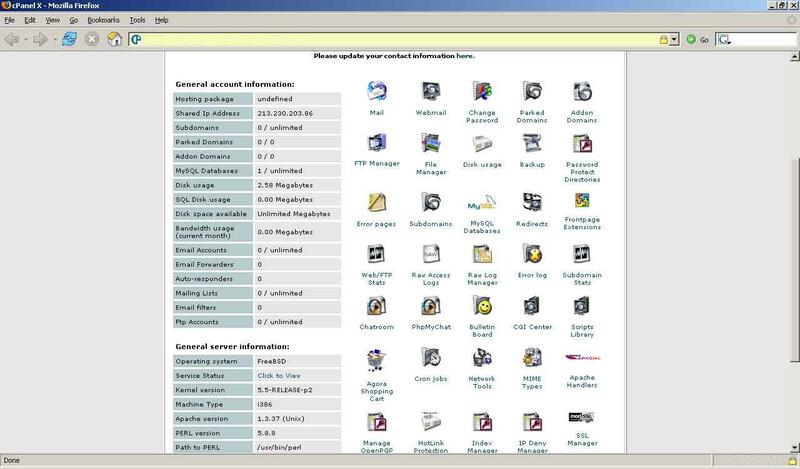 cPanel (control panel) is a graphical web-based management tool, designed to make administration of websites as easy as possible. cPanel handles all aspects of website administration in an easy-to-use interface. Easily manage all of your email accounts with cPanel. The screenshot to the right shows you can add and remove accounts, setup your spam protection, setup forwarders, access your webmail and much much more! 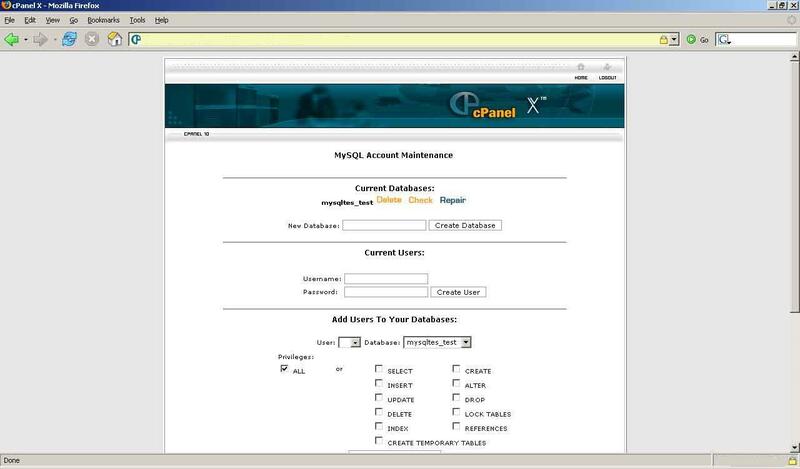 With cPanel, you can efficiently and easily add new SQL tables. We support both MySQL and PostgreSQL. From within cPanel, you can add and remove databases, users, edit passwords and much more.